Hello and a happy weekend to you all! Welcome to the new, revamped Party Junk! What’s new you ask? etc. Most anything along those lines. I just feel I need to stay true to what Funky Junk is all about and become a reliable source to find exactly what I do myself. Thank-you for those of you that have continually linked up your sewing / crafts / recipes and so forth for so long! So… on with the show! If you love reclaimed, you’ll love everything in this room. Especially that ladder! Don’t have room for a full ladder? How about a chunk of one? How cute is this? Now that is one classy looking shelf! File! File shelf! Both! 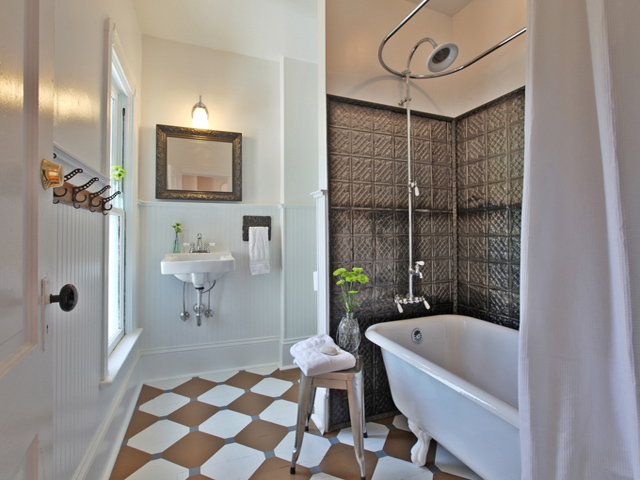 This bathroom is a must tour! 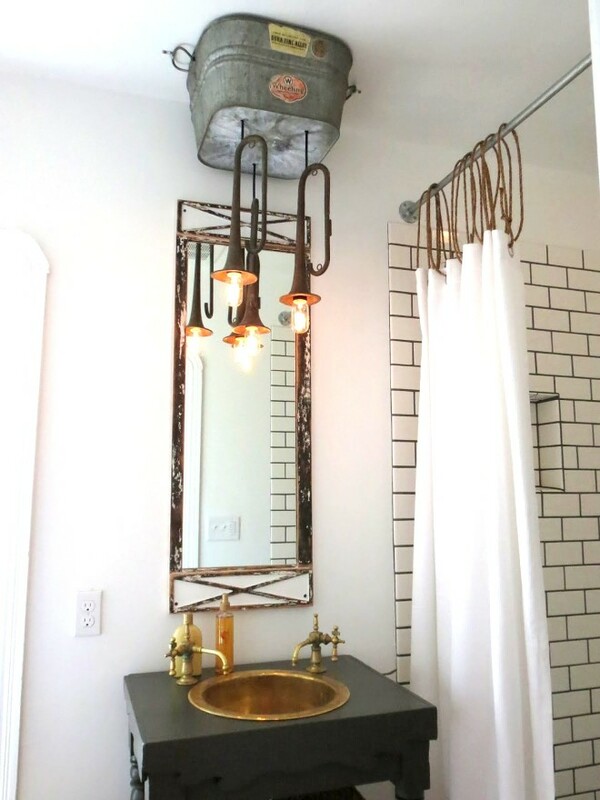 From twine on the curtain to that funky light made from bugles and a tub… oh my rustic goodness! You’ll be done making this in 5 minutes tops! It’s all about the rope. How fun! Where to put it all? In a bundt pan of course! The centre is all too perfect for your brushes. 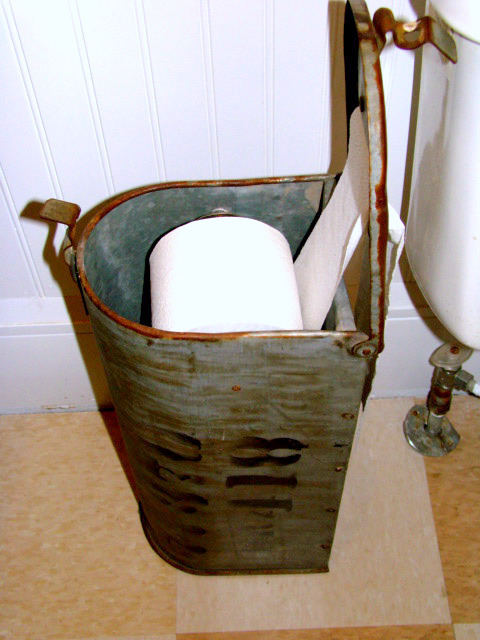 This tour of the Bachman’s Spring Ideas House led to one cool and quirky toilet paper holder! Now that’s unique. 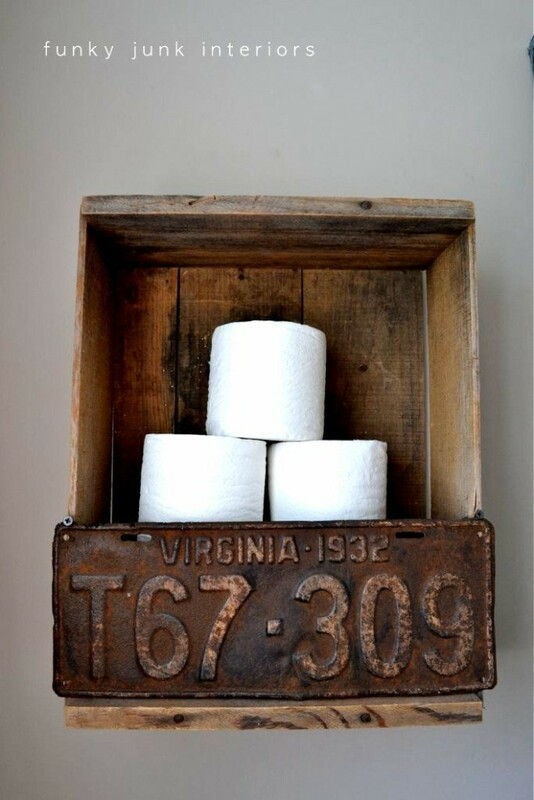 Got any great upcycled bathroom ideas in your own home? Link it up in this weekend’s themed linkup! Thanks for the party girl! Link parties are about the only partying I do these days. 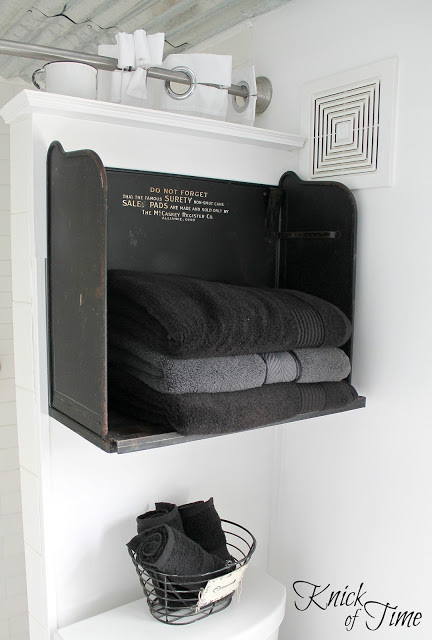 I shared my repurpsed chalkboard ideas and my upcycled bathroom light fixture. Thanks for showing my ladder towel holder off. Don’t you just love that mailbox toilet paper holder? I about died when and went to junker’s bathroom heaven when I saw that! Have a groovy weekend! 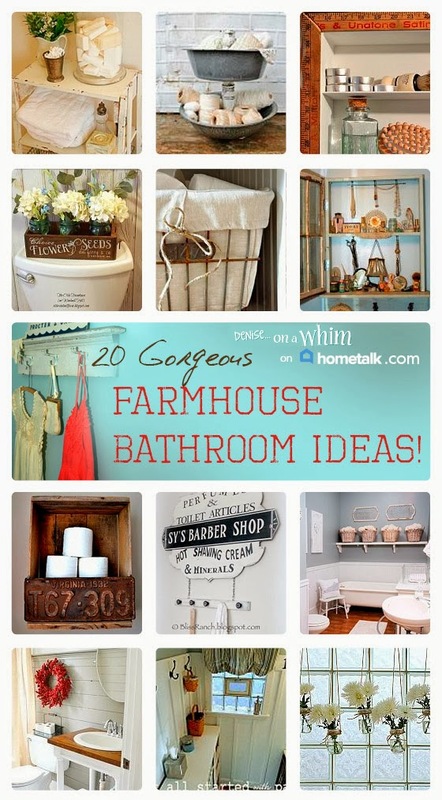 Love all these junky ideas, especially the mailbox toilet paper holder. Thanks for hosting Donna. Thanks for hosting Donna! I can’t wait to see the bathroom ideas! Awe-inspiring junk features tonight. I usually keep my bathrooms safe from junk, but nevermore! Thanks for hosting. Haha, no one leaves Funky Junk without a fresh armload of junk under one’s arm… happy scavenging! 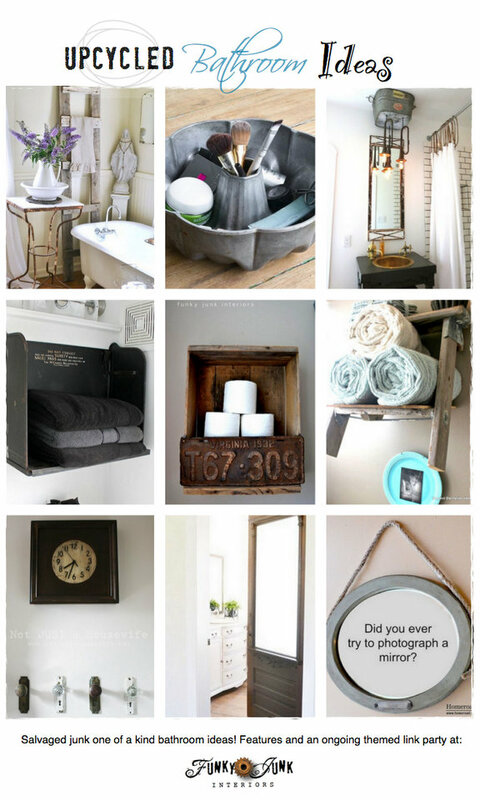 Thanks so much for sharing my photo with all of the wonderful bathroom ideas, Donna! 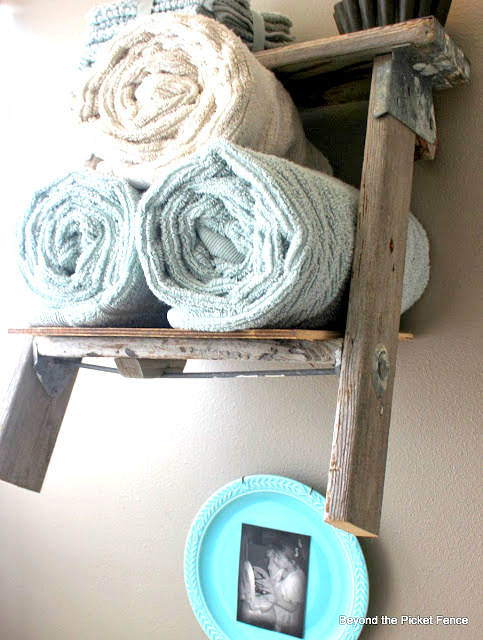 I linked up our recent bathroom redecorating project! Thanks for hosting! Hey Krista, you bet! 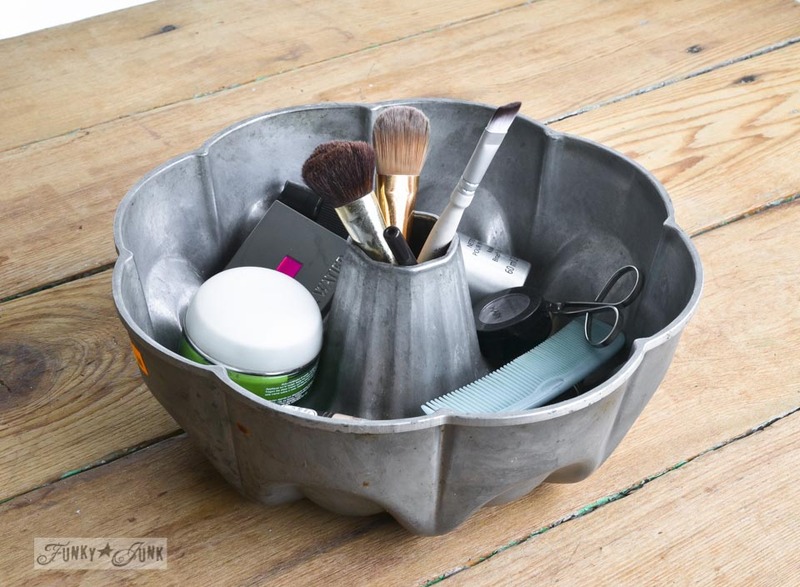 Anything upcycled in anyway totally counts! Thanks for linking up! Excited about the new party Donna. Have a great weekend! Thanks for hosting, Donna. Love the features! Thanks for the party! Awesome ideas everywhere! Love the new party format! Do you mind if we go far back for our links (in time)? Actually I mean for the topic specific ones. Oh please do Karen! I rerun the themed linkup scripts time and time again so the more you link up to them, the more they will be shared! Thank-you! I had never seen the mailbox paper holder from Linda at Itsy Bits. I love it, I need to make this. I was a little skeptical about the change in format but I find that, even though I miss the crafts and sewing posts, I really love it! I am always looking for things to make instead of buying new. I got my love of junk from my daddy. I always think about him when I am creating! I was too Sandy, but I’m finding now I’m able to find more of what I really do love. I’m glad you like it! 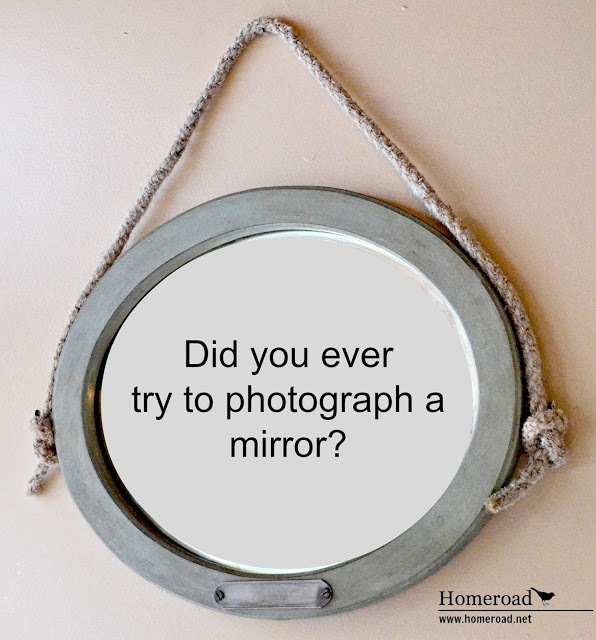 I still invite crafts and sewing projects, as long as they’re the upcycled types. I’ve added some more photos of the ceiling tin bathroom on my blog for everyone. All salvaged, some found on the side of road! What a good color of spray paint can do! 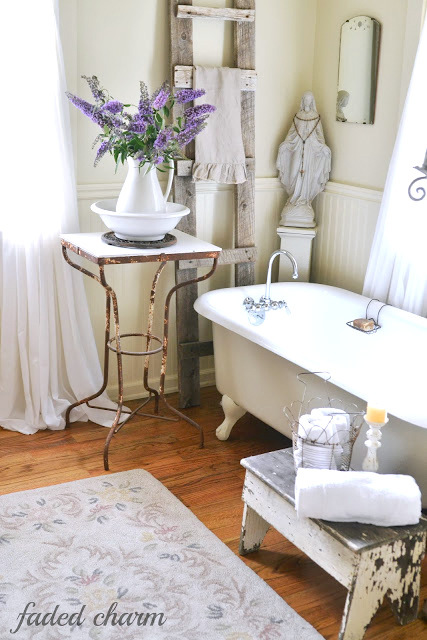 Thanks Donna for showcasing two of my bathrooms! You are the best all around! Junkers Rock!!! Thanks for hosting Donna. Great to see so many upcycled projects in one post. Love these ideas. So glad your staying true to your heart. Have a great week. Thanks for hosting. 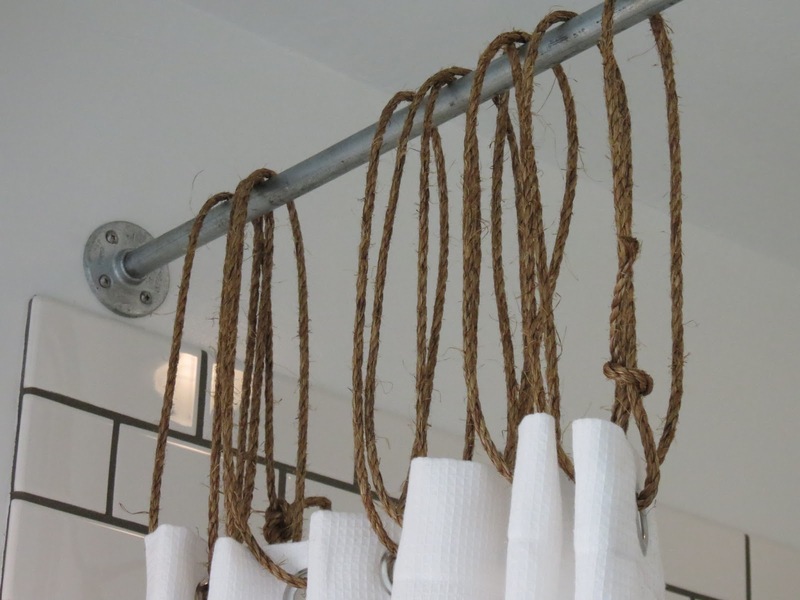 What a fun and affordable way to redecorate your bathroom! I never would have thought to use a bundt cake pan for makeup brushes, but that looks so cute!